Before the wedding takes place, the mother of the bride refreshes the painted designs of her house walls. 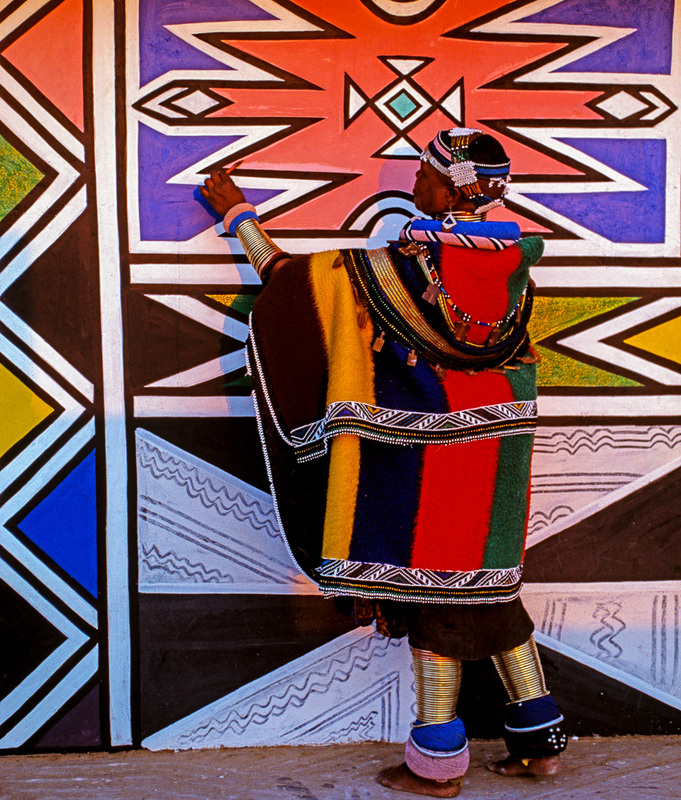 Ndebele paintings are renowned throughout the region for their bold, geometric forms, which in recent years have incorporated elements from the modern commercial world such as razor blades, light bulbs, staircases and even airplanes. Traditional vegetable dyes are being replaced with long-lasting acrylic paints, which are valued for their intense color and ability to withstand the weather.